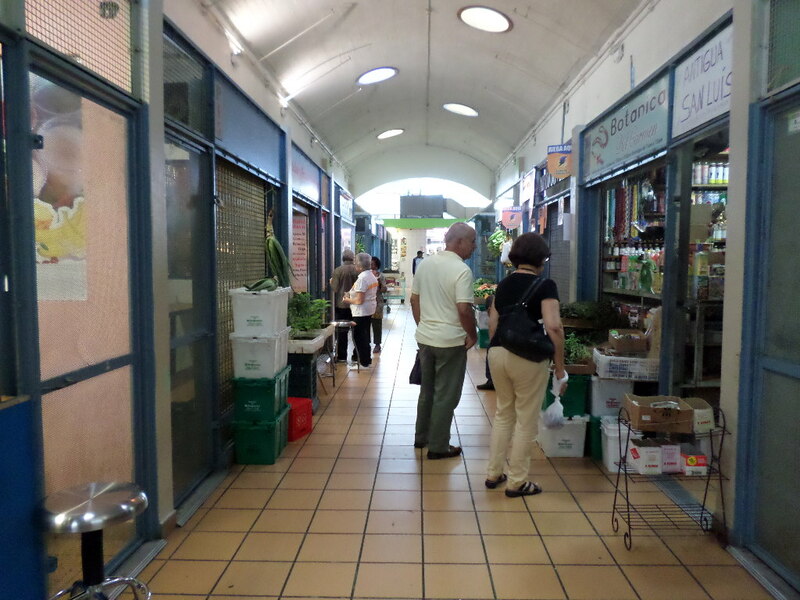 Today I concluded a short family visit to Puerto Rico with a stroll along the Plaza del Mercado in Rio Piedras, a district of San Juan. The Plaza is located in the downtown area, amid a busy commercial area. Upon entering the Plaza, the smell of meat from the butcher shops hits you. You encounter a few rows of small shops selling different goods, with attendants ready for a sale. Of course, there are fruits and vegetables. Local produce is labeled, sitting alongside imported goods. We bought avocados, pumpkin, and lerenes (Guinea Arrowroot, a native root crop). 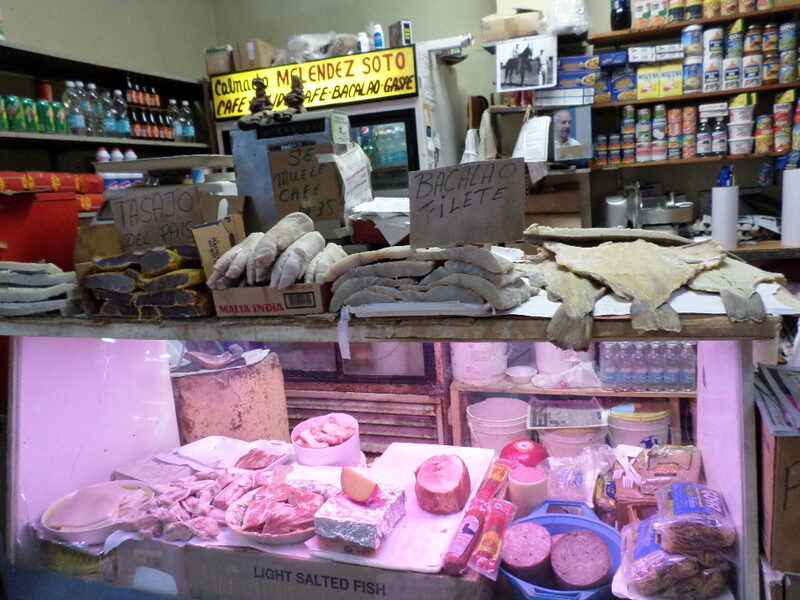 Butcher stands display several types of feet – cow’s, pig’s and chicken’s – with a few kinds of dried fish, mostly the traditional bacalao (codfish), along with other cuts of meat. 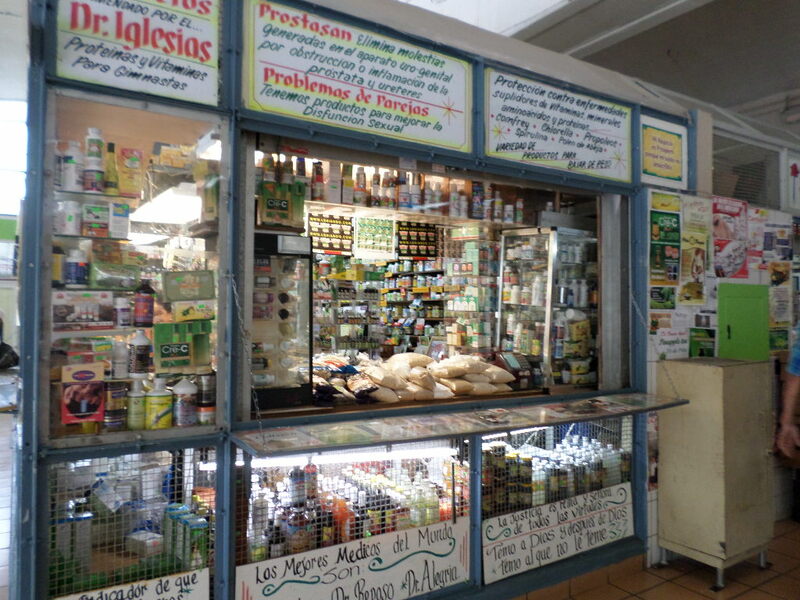 You also find botánica stands, selling candles, herbs and other goods for your corporal and spiritual health (along with other purposes). There are a also stands selling lottery tickets. Outlining the small maze of shops, there are clothing stores, a barbershop, a multi-purpose doctor’s office, and other varieties of goods and services. In the heart of the Plaza you find the food court, with traditional offerings including morcilla (blood sausage), pork, rice, beans, seafood turnovers, and other varieties of tasty and calorie-dense Puerto Rican dishes. You also find traditional food from the Dominican Republic, such as mangú, reflecting the changing demographic in the area, and creating the wonderful Spanish Caribbean plate I had for lunch. 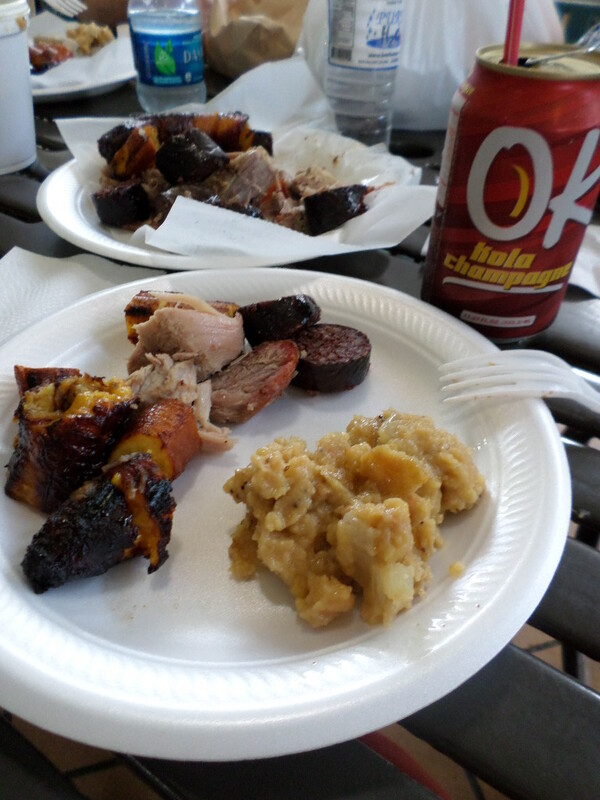 Lunch: Pork, baked ripe plantain, mangu, and morcilla, with a cold Kola Champagne. 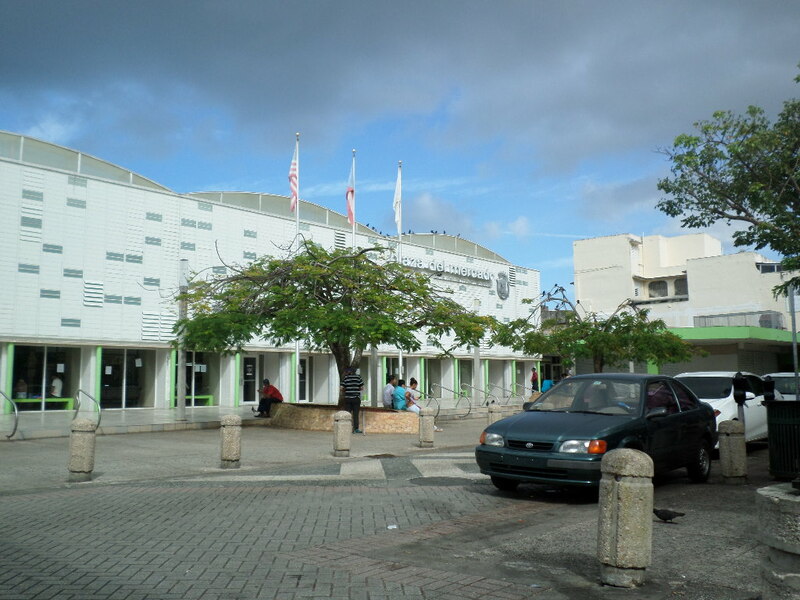 Many urban centers in Puerto Rico have their Plaza del Mercado. Sadly, their use has been in decline as people opt for air conditioned supermarkets and, more recently, wholesale stores, like Costco and Sams. At the same time, there is a growing interest in local agriculture and locally produced goods, especially among the youth. 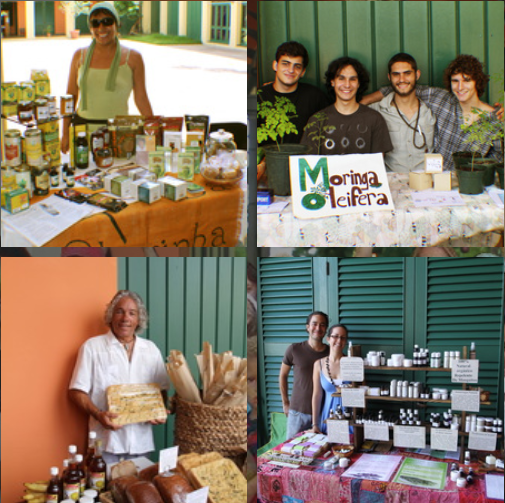 Artisan products, such as jams, soaps, coffee, and beer, are more prevalent and accessible. According to some informal conversations, this (still small) increase in local production seems to be fueled by the harsh economic times, and the need for innovation when faced with an ever increasing unemployment and lack of other opportunities. Local production is also receiving some help (although maybe not enough) from the local Department of Agriculture, through various small initiatives, including education for farmers and consumers. 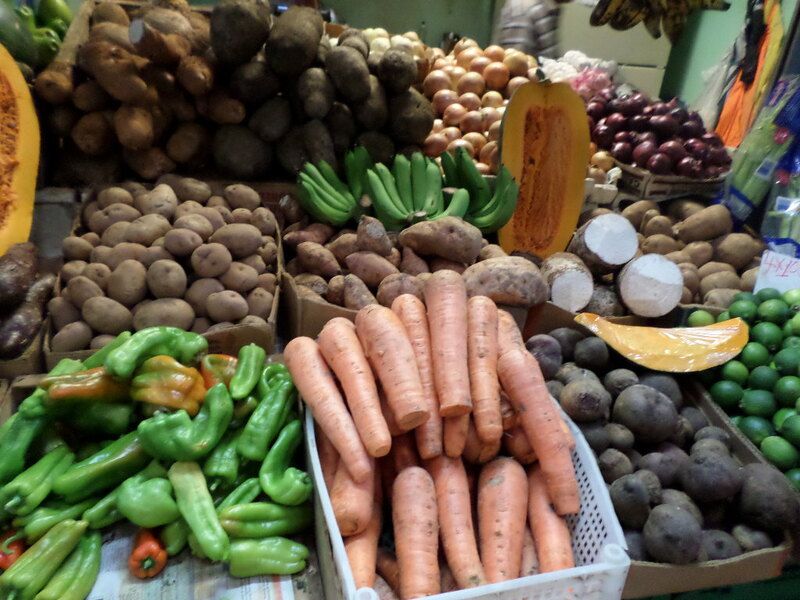 As a result, the few Plazas del Mercado left in the island are now accompanied by a growing number of farmer’s markets, some catering to the “organic/natural”consumer, while others target welfare recipients. Urban agriculture is slowly rising, starting in people’s homes. In addition, new high-end restaurants are shedding a spotlight on fresh, local produce. These are just a few initial observations. There is much to learn about the evolving Puerto Rican food system. While some might opt for the convenience of the supermarkets and wholesale stores, there is still a place for the small producer in the market. Further attention to the agriculture sector has the potential to improve the social and economic situation in the island. More will be explored in future entries…any comments, ideas, or information to further this conversation would be greatly appreciated. Thanks to E.V. 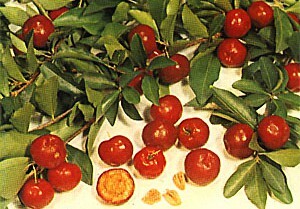 Rivera and A. Espada for their help in preparing this post.